When one of these appears for sale, there is usually great fanfare! The finest is a single XF45 (Prooflike) with a single XF40 close behind. 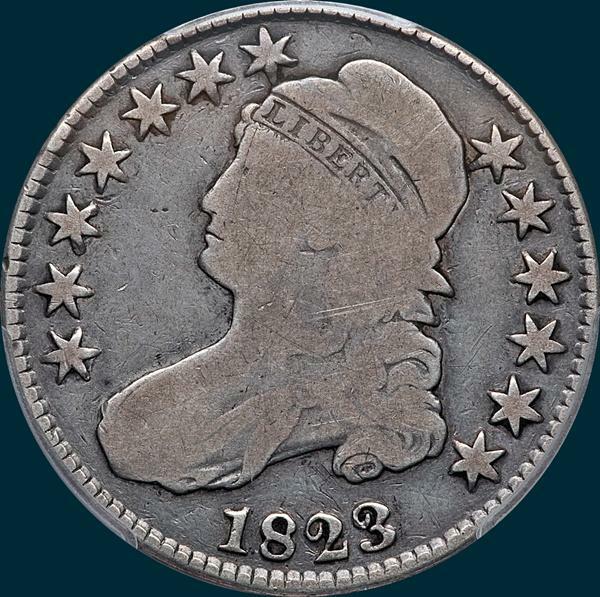 Variety Attribution: Obverse-Stars 7 and 8 just miss touching cap. Outside bottom loop of 3 irregular. 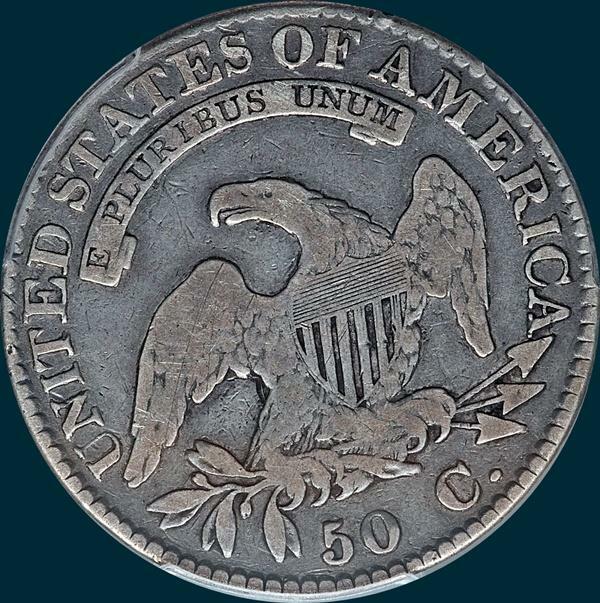 Reverse- 50C is large and widely spaced 2 3/4 mm. Arrow to A nearly touch. Right sides of T-I are in line. Center dot on crossbar 4 but mostly between 3 and 4. Letters of legend well separated.